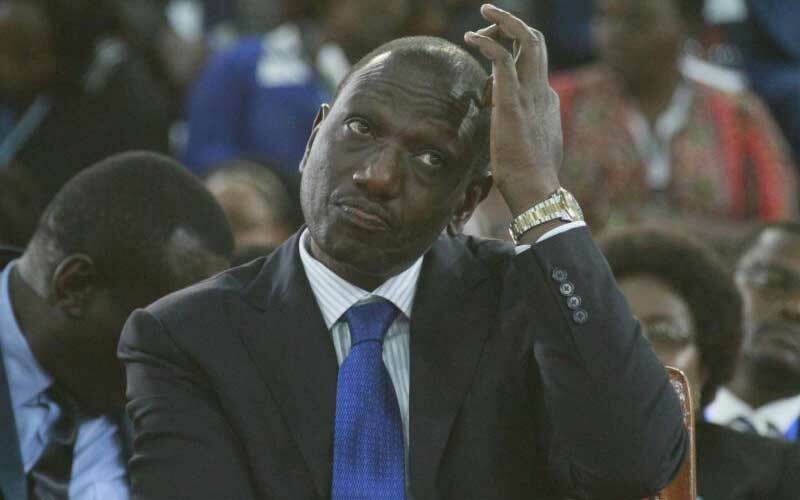 Reports have emerged claiming that legislators allied to DP William Ruto might lose leadership positions in Parliament just after some lost their State security. 20 leaders were targeted in the action directed at taming the lawmakers who are close to Ruto. This comes as the Tanga Tanga section is seen to be more loyal to DP Ruto and ignoring President Uhuru Kenyatta's legacy and focus on the war on graft. The President is said to be angry with MPs from Mt Kenya region who have defied his calls to focus their energy on development and not 2022 presidential politics. Jubilee Secretary General Raphael Tuju, however, denied that there was a plan to topple parliamentary committee leadership, stating that Uhuru was focused on uniting the country. Senators Aaron Cheruiyot (Kericho) and Samson Cherargei (Nandi), MPs William Cheptumo (Baringo North) and David Pkosing (Pokot South), have also been allegedly earmarked for removal from House committees. MPs Ndindi Nyoro (Kiharu), Faith Gitau (Nyandarua Woman Rep) and Sabina Chege (Murang’a Woman Rep) had their security withdrawn. This comes after Tiaty MP William Kamket hinted at the plan within the Jubilee party to de-whip MPs allied to Ruto. However, Police Spokesman Charles Owino defended the decision to have security detail attached to MPs and governor withdrawn stating that it is an on-going procedure that will affect all leaders. Owino revealed that the police service is currently undergoing a transformationprocess that would see administration police officers offer protective services. “We have recalled our officers who have been undertaking protective services and then the services will be given by administrative police. So no MP, Minister, governor or senator will totally lose his (or her) security,” Owino clarified.